Haiku poetry collections by Johnny Baranski of Portland, Oregon; D. Claire Gallagher of Sunnyvale,California; Elizabeth Hazen of Winooski, Vermont; and Robert Major of Poulsbo, Washington, snatched the four winning slots for publication in the Virgil Hutton Haiku Memorial Award Chapbook Contest for 2001-2002. A celebration of haiku, as well as a fitting memorial tribute to the late haiku poet, Virgil Hutton, this contest is sponsored by the Hutton family and Saki Press, Normal, Illinois. This second annual haiku chapbook contest had entries from the US, Canada, Mexico, England, New Zealand, and Australia. Haiku offer continuity and a meaning to our existence on this earth and help to bring us into harmony and balance with nature and our fellow man. The four winning chapbook collections for this year's contest illustrate the diverse mix of the traditional form and celebrate, each in its own way, those unique haiku moments as seen through special "eyes" and in circumstances that touch and involve us all in that moment as well. The contest was sponsored by the Hutton Family and Saki Press, Normal, Illinois, as a tribute to the memory of the late haiku poet, Virgil Hutton. It is also a celebration of the haiku form. The third biennial haiku chapbook memorial award contest attracted entries from the U.S.A., Canada, England, Austria, Sweden, New Zealand, and Australia. Johnny Baranski is a haiku poet and working bookkeeper living in Portland, Oregon. In this collection the poet's "haiku moments" center on his glimpses of the human spirit and its oneness with nature from behind bars. Structured within such a confining environment there remains a universe of experience for the poet that enables him to provide a tone of strength and unity encompassing man and nature throughout his work. D. Claire Gallagher, a haiku poet living in Sunnyvale, California, is the editor-in-chief of Mariposa, the journal of the Haiku Poets of Northern California, as well as being named a new editor for Red Moon Anthology. 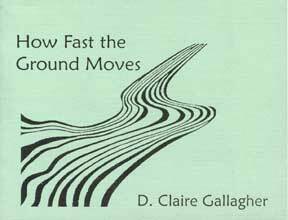 The haiku in this collection focus on those moments in nature, time, space, and perception...when a shift or transition, however small, occurs. 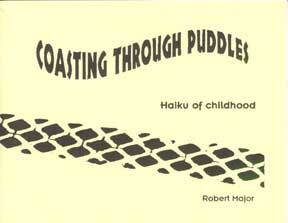 The haiku reflect the poet's keen awareness and attention to cycles of nature and man's kinship to it. 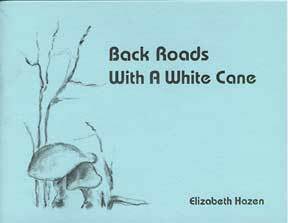 Elizabeth Hazen, a writer, artist, and poet from Winooski, Vermont, works to make haiku available to persons who cannot read print and to introduce sighted readers to the context of those who are blind. A richly drawn and inspired collection of haiku which connects the layers of perception the poet experienced while blind. Crisp, vivid imagery from an unusual perspective contributes to additonal understanding of nature, the earth, and one another. A new compilation of 50 haiku and senyru by the late haiku poet, Virgil Hutton gathered from his private files and journal notes, the collection presents some of his personal favorites plus a few works in progress.